FunnySearching.com – How to remove? Developers of Funnysearching.com say that it is a legitimate search engine that shows search results based on the search query. Yes, funnysearching.com really shows search results; however, it cannot be called a good search provider because it has been found that a number of the search results it shows for users are simple advertisements that promote third-party websites. Also, funnysearching.com usually sets itself on browsers without permission, so specialists usually classify it as a browser hijacker. All browser hijackers enter computers secretly and then immediately start performing their activities. Therefore, if you see funnysearching.com set on your browsers, there is no doubt that a malicious software is inside your computer. The only way to undo the changes made is to remove funnysearching.com from the computer, so go to do that as soon as possible. 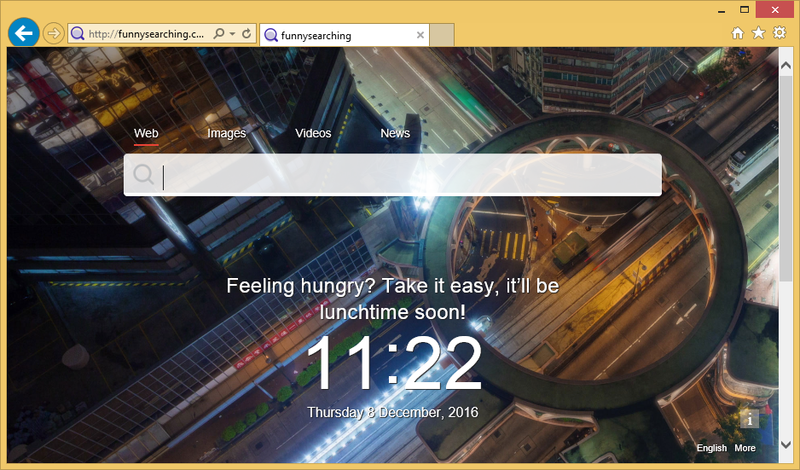 If the funnysearching.com browser hijacker enters the computer, changes are made so that the website funnysearching.com could be opened automatically. It means that you will see it every time you launch your browser. Since funnysearching.com is set as homepage and default search engine, many users decide to use funnysearching.com as a tool for searching the web. Specialists are against this because they perfectly know that this search tool might cause harm to users’ computers quickly. The major danger is associated with those advertisements shown by funnysearching.com. It has been found that this dubious search engine might present users with advertisements promoting websites having malicious software hidden inside them. This malicious software can quickly find a way to enter the computer. Therefore, the funnysearching.com removal should be the first thing you have to do if you have already discovered your browsers’ settings changed. You should uninstall funnysearching.com not only because it shows ads, but also because it might violate your privacy. It can do that by taking you to websites that collect personal data. To be frank, nobody knows whether funnysearching.com cannot act the same. How did funnysearching.com browser hijacker manage to enter my computer? Specialists have come up to a conclusion – users who find funnysearching.com set on their browsers tend to download applications from third-party websites and usually carelessly install them on their computers. Of course, the entrance of funnysearching.com might be the result of dangerous malware hiding on your system and performing various activities too. Either way, you need to remove funnysearching.com from all your browsers as soon as possible. The last paragraph is all about the funnysearching.com removal, you will find all the necessary information there. How can I delete funnysearching.com? There are two things you have to do to delete funnysearching.com manually. First, you should go to delete the extensions of this browser hijacker from all the browsers it has affected and, second, you should then set a new homepage and default search engine yourself. If you feel that you could not take care of this malicious application, you should use an automatic malware remover to delete funnysearching.com from your computer. Of course, you first need to acquire that tool and install it on your computer.